Thanks to BrandBracker, I was accepted into the SoxxyAir campaign! Soxxy is amazing because they have partnered up with FIVE charities. 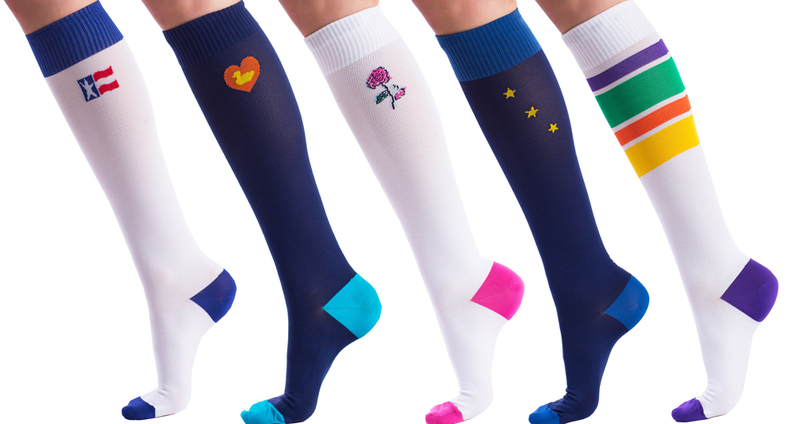 These SoxxyAir Charity socks (stylish compressions socks for flying, sports, work and medical), however, will not be available until the end of April. Not to worry. I’ll keep you all updated. I haven’t received my pair of compression socks yet, but when I do, you can bet I’ll post a review on them. In the picture above, shows some of the SoxxyAir Charity sock designs. Just by scrolling through the Soxxy website and reading more about their products, I am excited to get my pair. The compression socks seems like they will be very beneficial. It is said they will increase circulation and reduces swelling (cankles), jet lag, muscle soreness, and decreases the risk of deep vein thrombosis (DVT). I honestly never thought socks could have such health benefits so this will be a great experience. Whether you are working long hours, jogging, or traveling on a plane, SoxxyAir will make sure you feel and look great all day long.